Enjoy Clean, Dust, Smoke & Chemical-Free Air in Your Entire Home or Building with A Deluxe Full Home Central Air Filtration System! 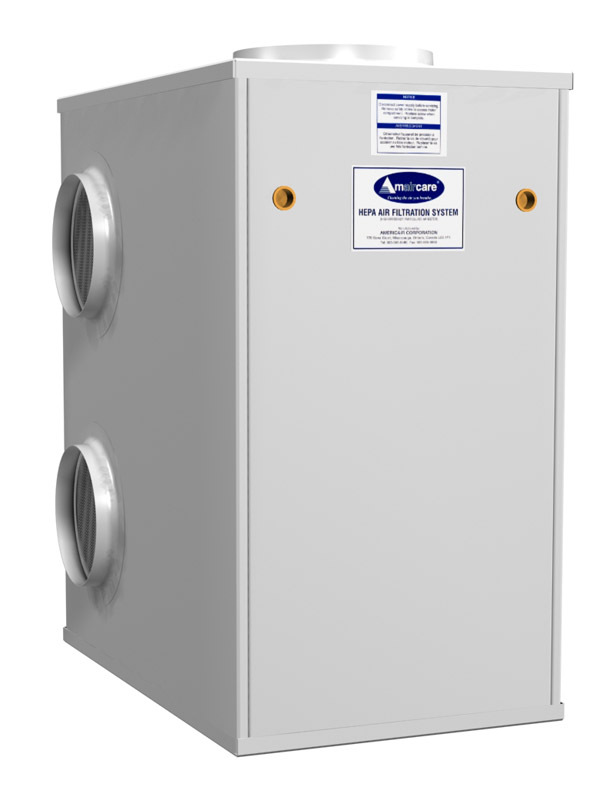 Here We Offer One of the Best Electronic Whole House Air Purifiers Available that Easily Attaches to Any Furnace or Air Handler, with Dual HEPA & Activated Carbon Filters, Quiet Operation, 5 Year Warranty & Up to 7500 Square Foot Coverage, all at a Discount Price with Free Shipping! 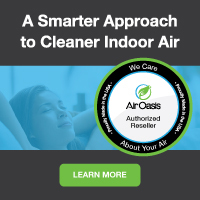 Want to clean the air in your whole home and cover up to 7500 square feet with one unit? The Amaircare 7500 is the system to buy! This powerful unit features a full 1000 CFM and DUAL HEPA plus DUAL activated carbon filters for maximum air cleaning, with quiet operation and direct furnace or central air conditioning connection so you won't see or hear the unit--you'll just notice that your indoor air is much cleaner, you're cleaning your home less and probably sleeping better. 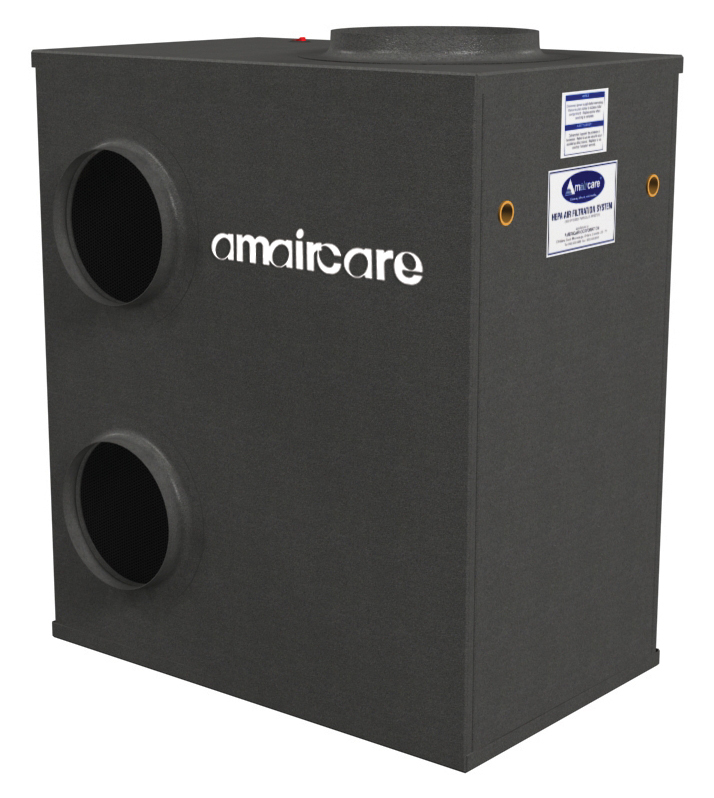 The Amaircare 7500 is also used in many businesses such as office buildings, pet care facilities, fitness centers, medical offices and much more. Dual Perfect Seal 3 Stage Filtration with 2 HEPA filters or 2 HEPA and 2 carbon filters for maximum performance! Easy Filter Access--end door removes for easy filter maintenance. Bypass Installation – mounts on the return air portion of the air handling system and does not impact the HVAC system or endanger the HVAC warranty. The 7500 is also a perfect solution for home renovation contamination! Filters are easy to access and change with just a twist of the main HEPA Cartridge. Variable Speed Control – change the air flow rate of the system to suit your needs and levels of contaminants in your environment. High efficiency air flow at a low running cost, minimal drain on electricity resources with years of continuous performance. Optional VOC Filter Upgrade – radically increases the capacity for capturing chemical and gas pollution. We can even custom tailer the carbon to remove certain chemical pollutants if needed. Optional VOC Ultra Canister – replace a one or both of the HEPA Cartridges with 30lbs of Carbon for extreme chemical and odor removal. Air pollutants that have mass, such as: vehicle emissions, pollen, dust mite carcasses & feces, pet dander, hair, cigarette smoke & candle char. Biological material, living or dead, in the air, such as: bacteria, viruses, mold spores and fungi. These materials could cause allergies or spread diseases. The gas state of chemicals. In your home and office, they come from household materials and cleaning products. V.O.C.’s are released from: paints, perfumes, plastic, furniture & carpets, glue to name only a few. 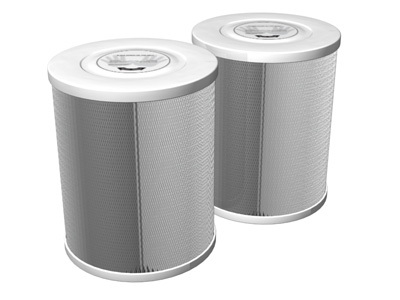 Amaircare HEPA filters are made from high-quality fine fibers that are pressed together into a paper material then pleated to provide the largest surface area possible. The paper then acts like a net that captures and holds particles as the air passes through creating the Amaircare PERFECT SEAL HEPA™ Not all HEPA filters perform equally, in fact; many do not achieve true HEPA results. Amaircare’s Perfect Seal Technology meets and exceeds true HEPA standard! Carbon is to V.O.C.’s as what a sponge is to water. When V.O.C.’s come into contact with the carbon filter, they become trapped in tiny capillary passages on the surface of the carbon. This process can continue until all the passages are filled, much like saturating a sponge. The larger the surface area of the carbon, the more V.O.C.’s it can hold. 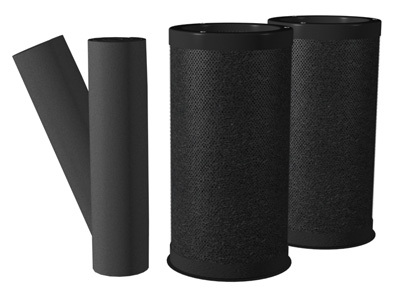 Amaircare's activated carbon has very small granules which maximizes the surface area of the carbon for longer filter life and better pollutant removal. Clean up the air in your home or business today and feel the difference clean healthy air can make! Order your Amaircare 7500 TODAY!